This will convince me to sign up for a subscription to this magazine. 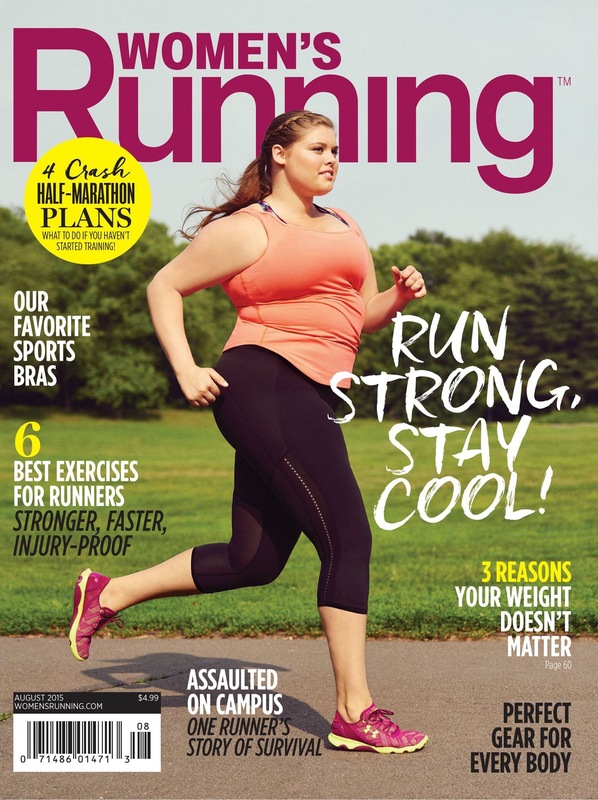 Next month’s Women’s Running Magazine shows this inspiring runner — a woman who loves to run but doesn’t have that “skinny runner” body that I see in a lot of various running and fitness magazines. To those who know me, I love running. I ran various 5Ks, 10Ks, some half marathons and a full marathon. I certainly do not have that skinny runner body, and I’m not planning on having that type of body. It’s all about being healthy and challenging yourself that you can make that finish line (even though having six-pack abs would be nice for me!). I look forward to buying this issue when it comes out!